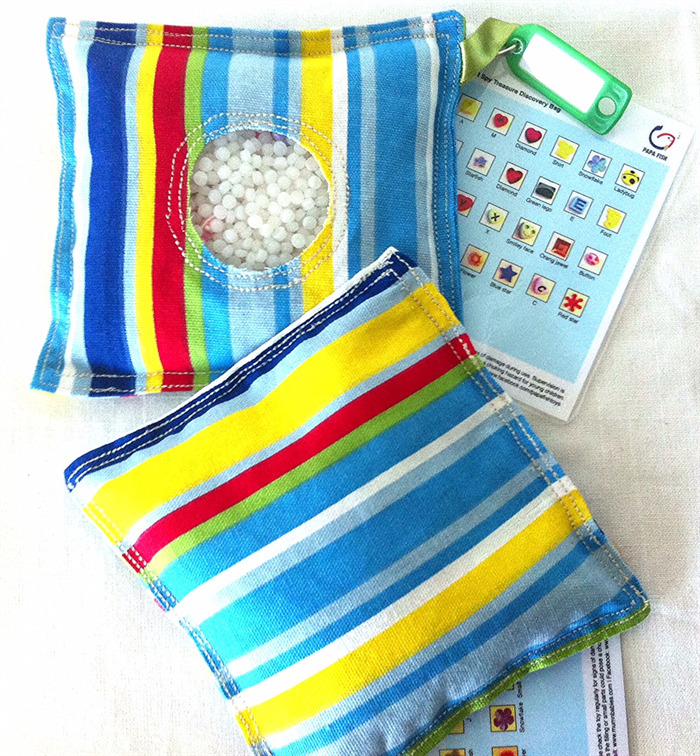 I spy Treasure Discovery bags aim to provide hours of fun and educational entertainment. 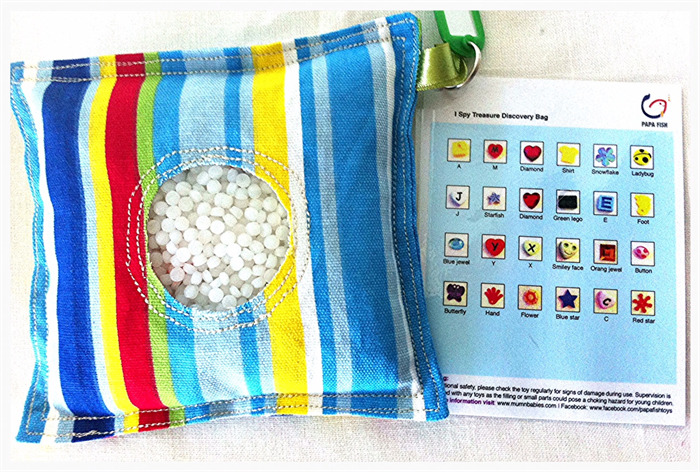 24 treasures plus 2 secrete items have been hidden in the bag within the non-toxic plastic pellets. It also contributes to the development of reading, sense of concentration, eye-hand coordination, word and object recognition and fine motor skills. 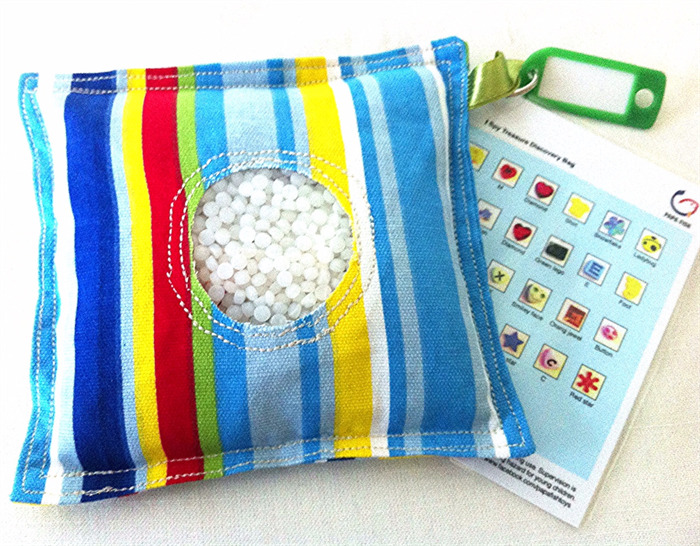 As the child shifts the non-toxic pellets in the bag, items will emerge in the clear vinyl window, which allows the child to find all of the hidden treasures listed on the additional picture card and a list of possible activities and games. They are perfect to fit in a purse or diaper bag and are great for use in the car, in a waiting room, or anytime quiet play is needed. 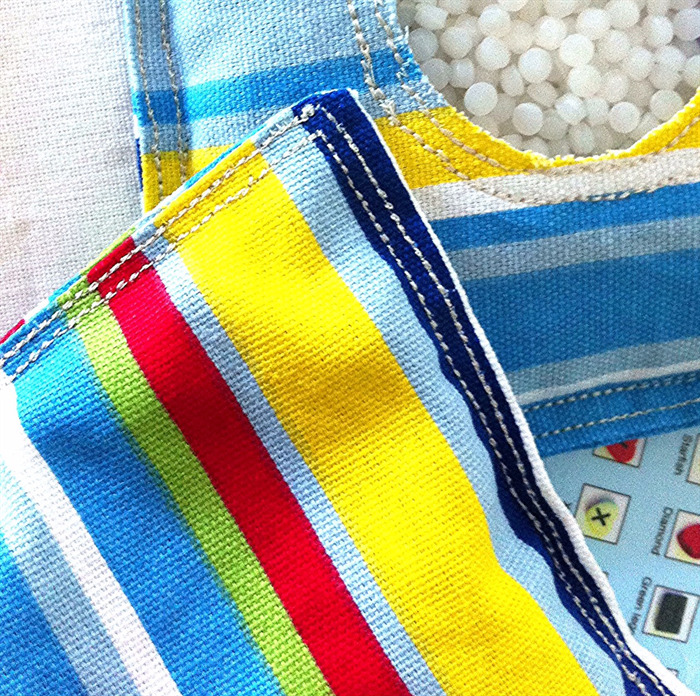 This easily transportable game will become you and your child’s favorite toy! They also make great party favours! The Items within the bag may vary slightly from the picture shown.